Almost unheard of for a woman in the early part of the 20th century Liz gained a solid reputation as a creative fashion designer working for the Salta Knitting Mills in New York. After many years as a successful designer she decided to offer upscale clothing in a personal setting with customer service as the main objective. 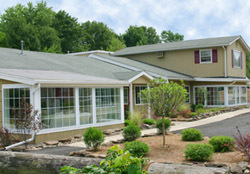 The Liz Ambrose Boutique opened in 1948 in Spring Lake New Jersey and served the affluent surrounding areas until 1978. Liz Clinton learned her trade well. She was surrounded by fashion and joined her mother, selling, at a very early age. Originally touted as the Fashion Oasis of Sussex County the Liz Clinton Boutique opened its doors about 50 years ago to cater to the growing population of young professionals moving further north and west to avoid the congestion of the growing megalopolis that is New York. Early on in her marriage Liz Clinton and her husband Bill decided it would be better for the family in general if they could both be home while their six children were growing up. 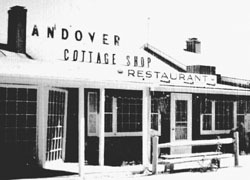 In 1957 they decided they could accomplish their goal by taking over the open hot dog stand that Bill’s parents ran on Route 206 in Andover, New Jersey. That was the start. While her fashion roots were left for a time at her Mom’s Boutique in Spring Lake, Liz and Bill enclosed the stand and added on several rooms and reopened as The Cottage Restaurant. With Off-Broadway shows headlined with famous stars of the time performing regularly at the Grist Mill Playhouse only a half-mile up the road, the Cottage Restaurant quickly became a popular eatery for the stars and their audiences. Eventually the Restaurant was able to seat 150 people comfortably. However, fashion was never far from Liz Clinton. Restaurant patrons were constantly asking her where she got her clothes. The answer of course was “From my Mom’s Boutique in Spring Lake”. Soon the decision was made to support a retail operation along side of the Restaurant on a limited basis. The Liz Clinton Boutique was opened as a Branch of the Liz Ambrose Boutique. Originally one would enter the Restaurant where one Kimberly houndstooth Suit was displayed in a glass case by the cash register. Liz would write special orders based on that one dress. The response was astounding. Eventually, people were coming to the Restaurant to buy Kimberly suits instead of the famous Sauerbraten. 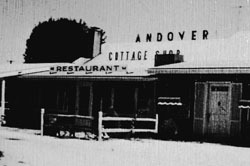 With the birth of their 6th child in 1964, keeping up with two businesses became too much and the Boutique was put on hold to concentrate on the already successful Cottage Restaurant business. For years people inquired when Liz would go back into the dress business and in 1967 two rooms were set aside from the Restaurant and extra space was stolen from the family’s attached garage, explicitly for marketing fashionable casual wear. The business mostly by word of mouth grew so quickly that three more rooms of the Restaurant were set aside for sales and display space. For years Liz Clinton’s customer base traveled from New York, Pennsylvania and New Jersey with many loyal customers making the trip once or twice a year from many other states and places as far as Bermuda. From the easy chair around a coffee table to the personal service always provided, Judy Fletcher carries on her Grandmothers and Mothers tradition with the Wedding Store. Judy grew up around her Mothers business and at about age 18 began working as a “jack of all trades”, buying, selling, maintaining stock and doing paperwork. After she married and began to raise a family of her own she realized that there was no place in the immediate area to buy quality children’s clothing. In 1979 she solved that concern by opening Judy’s Children’s Boutique in a corner room of the original Restaurant. 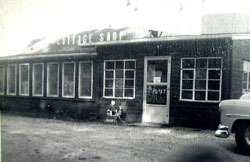 Judy operated out of her Mom’s store until 1989. It was while operating the Children’s Boutique that she realized that younger professional women needed a place to buy contemporary clothes to suit their busier lifestyles. The kid’s store outgrew the one room in Liz’s Boutique so Judy decided to open at another location a few miles from her Mother. Judy’s On The Wharf opened in 1987 with 2000 square feet of selling space and a whole new line of Women’s clothes complimenting the already booming children’s business. In the early 1990’s Judy decided that being there for her children was more important and put the business ‘on hold’ until they were older. On and off during the 1990’s and early in 2000 Judy assisted her Mom with her mainstay business which had evolved into servicing the Mother of the Bride & Groom. One thing lead to another and the Wedding Store at Liz Clinton was born.